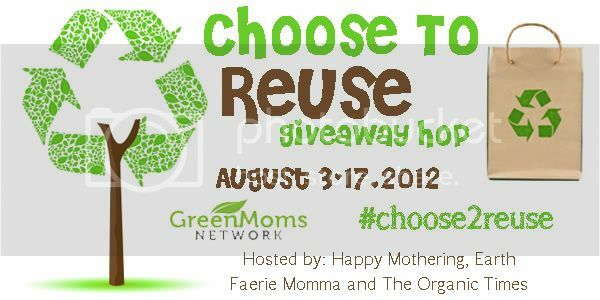 We are excited to be part of The Choose To Reuse Giveaway Hop! This wonderful event is hosted by The Organic Times, Happy Mothering & Earth Faerie Momma. There are 38 blogs participating and each one of them has a giveaway worth $25 or more. This event will end Friday, August 17th at 11:59pm EST. After you enter my giveaway be sure to hop on over to the other blogs! Our fabulous sponsor is NoPlastic.ca, a one-stop shop for all your reusable needs. Need some reusable containers? They've got them - glass, stainless, ceramic. Ice pop mold? Yes, a stainless steel one! They even have stainless steel tableware and a stainless steel food mill. They ship within Canada and the United States! 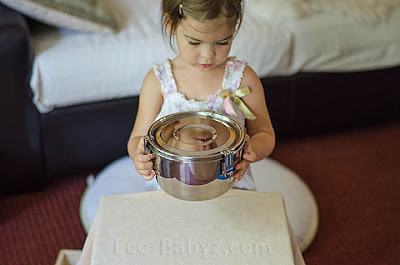 For the giveaway one of you will win two Airtight Watertight Stainless Steel Food Storage Containers, an 8 cm and 10 cm one that are perfect for kids snacks and baby food. We have previously reviewed the 18 cm container pictured above. I am always using it for leftovers now, it keeps food from spoiling and keeps it tasting very fresh - way better than plastic. It is the best container I own, just to give you an idea. I'm seriously dreaming of having a stash of these, you will love it! Great for back to school to pack your kids' snacks, even for runny things like apple sauce or yogurt. Take it with you to the playground, play dates, and day trips! 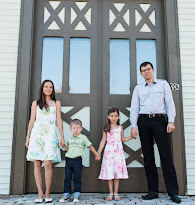 Eco-Babyz and the other Choose To Reuse bloggers are not responsible for unfulfilled prizes. I like the quad food children's containers. My favorite product are the Rosewood Cooking Utensils. Very nice! My favourite item: Children's Tableware - porcelain ceramic bowls in Blue Bear. stainless popsicle molds, I've been looking everywhere for them! Can't decide between the Stainless Steel Popsicle Ice Pop Mold and the Food Mill. I like the LuchBots Food Storage containers. The Stainless steel food mill looks really cool! I love the Lifefactory Glass Bottles with Silicon Sleeve, Flip Top - 22 oz. Never saw them in stores and I think they are amazing. Will buy them for sure! 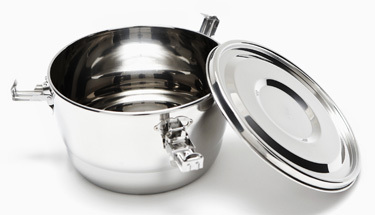 I like the double-walled stainless steel bowls (http://www.noplastic.ca/stainless_steel_bowls_small.shtml). I love the Stainless Steel Popsicle Ice Pop Mold! I love the Rosewood Cooking Utensils, but those Stainless Steel Ice Cubes are the coolest! i love the stainless steel containers, perfect for leftovers! stainless steel icecube trays? too cool! The stainless steel ice cube trays. Stainless Steel Ice Cubes tray - neat. The teacup with infuser and lid would be so great to have for winter. I am a tea freak and that time of year is just around the corner if today was any indication! I like the stainless steel divided food trays. I like the Airtight Ceramic Food Storage Containers. love the ceramic childrens bowls! I love the stainless steel popsicle molds!